MAN Diesel & Turbo (MDT) has participated in the testing of the basic additive package of cylinder oil, CNOOC Unimar 570, 70 BN, SAE 50. The test included 4,000 service hours on a 12K98ME MAN B&W engine and the evaluation found Unimar 570 acceptable. 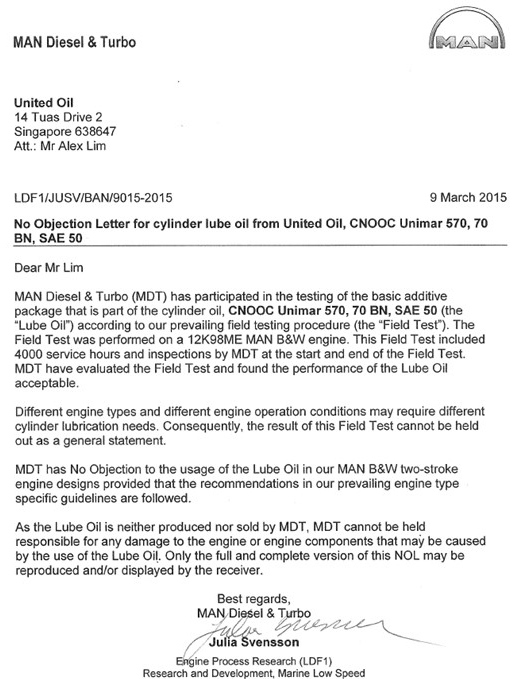 A 'No Objection' letter was issued by MAN on 9 Mar 2015.